> Blog > Is your business a candidate for WilsonPro signal booster solutions? Is your business a candidate for WilsonPro signal booster solutions? Perhaps you’ve reached a critical point of frustration and you’d like to dig yourself out of the cell phone signal black hole that you, your employees and your visitors have experienced at your building – possibly for years. 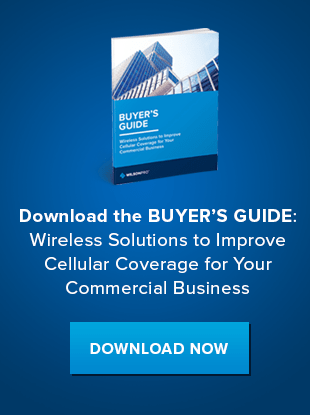 You’ve probably also done your research and learned that a commercial-grade cell phone signal booster system might be the answer to your company’s connectivity problems. If your situation meets the conditions below, you might be a fit for an electronic remedy, courtesy of one of WilsonPro’s signal booster solutions. 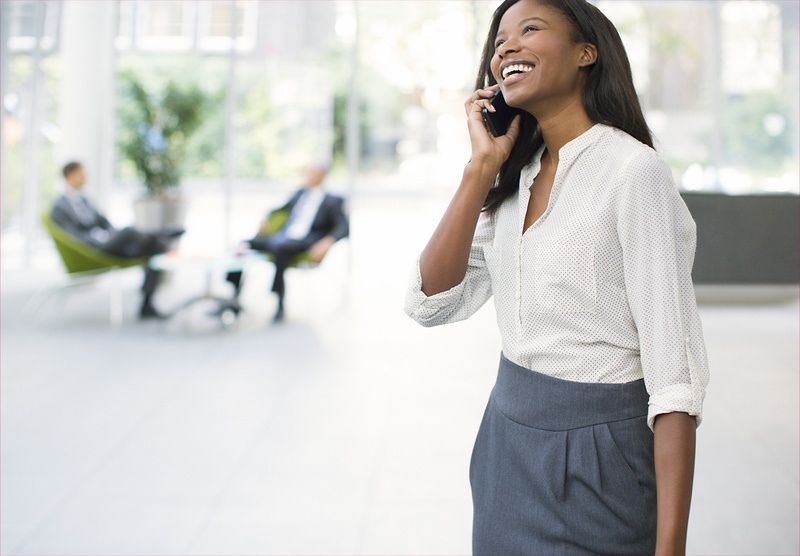 Do you experience missed or dropped calls in your building, with annoying regularity? Do clients – or family members – complain that it’s almost impossible to call you at work without poor call quality or, sometimes, no reception at all? A cell phone signal booster can immediately remedy the issue of dropped calls by using its antenna system to gather the existing cell phone signals in your area and boost their power by as much as 32 times, providing those in your building with five-bar signal and amazingly clear call quality. Do you find yourself, or your workers, on a daily migratory mission to windows, patios, the front door, the loading dock, or any location on the perimeter of your building where it’s possible to get a stronger cell phone signal? Is the sidewalk outside of your front door suddenly the most popular spot in your office to do business, or check social media updates? While fresh air and exercise are great, we suspect you’d rather keep your employees focused on their jobs and clients, rather than relocating each time they need to take or make a call. A signal boosting system can do the trick, turning practically any location in your workspace – conference rooms, offices, and, most importantly, employees’ desks and cubicles – into full-signal zones. They’ll have to find another excuse to take a walk. Sometimes, the construction materials that go to make your building energy efficient have an unfortunate side effect: they’re also ideal for blocking radio wave-based cell phone signals. If your building is made of brick, concrete, metal, masonry or other heavy-duty insulating materials, it may be practically impossible for cell phone signals to reach your employees’ or visitors’ smartphones or tablets. While those kinds of building materials may be great for your utility bills, they also create the perfect storm to block out incoming or outgoing electronic communication. Opting to install a freestanding cell phone signal booster system inside the office can remedy that situation, almost like putting a virtual cell phone tower inside your signal-squelching walls. As is the case in our ever-increasingly smartphone-reliant society, your employees and customers absolutely rely on clear cell service inside your place of business. And that’s not just for Twitter updates or chances to talk to their friends – more and more businesses have come to rely on company-issued smartphones and tablets as the core way of communicating with their employees, instead of elaborate and expensive hard-wired phone systems. And if you’ve ever spent time in an office where even the internet-based VoiP phone system goes down when the Wi-Fi is out, you know that full-strength cell phone signals suddenly take on even more importance – keeping employees connected with emails, uploaded documents or those daily conference calls. Instead of twiddling their thumbs. A cell phone signal booster system, which works independently of your Wi-Fi setup, can be a lifesaver. Not every business has the ability to mount an antenna outside of their building, especially those in shared spaces or companies on higher floors of commercial buildings. But if you’re in the lucky position of being able to make some minor external modifications – professionally installing an inconspicuous antenna that could help to provide substantially enhanced cell phone voice and data service, your company may be a prime candidate for a WilsonPro signal boosting solution. Finally, if you’ve recently installed a cellular signal-based security system but you find that just like your employees’ and visitors’ phones, it also can’t reliably lock down a strong signal from nearby towers, you may be be especially motivated by the prospect of digitally enhanced cell phone service, courtesy of a signal booster. Boosting systems offer the flexibility and power of grabbing signals from your neighborhood towers and enhancing them for all users – with all local carriers’ signals boosted as well – and providing a clean and uninterrupted signal. If it seems like many of these challenges sound familiar in your workplace, maybe it’s time to consider a WilsonPro solution for your cell phone signal reception issues. To learn more, browse our products or download our Buyer's Guide to understand the best solution for your connectivity challenges.